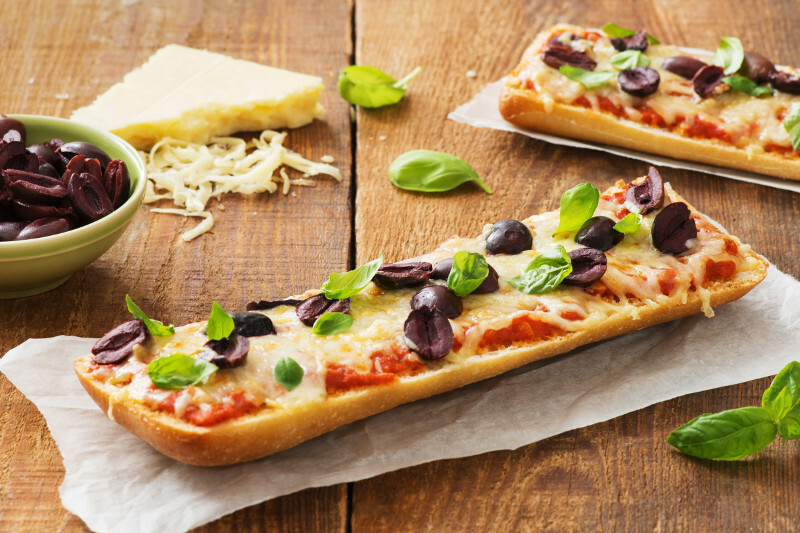 Arrange bread on a large baking sheet and top each half with pasta sauce, sprinkle with shredded cheese and top with olives. Bake for about 10 minutes or until cheese is bubbly and melted and crust is slightly crispy. Remove from oven, cut into serving slices and serve hot. Optional- before serving, sprinkle with torn basil leaves.